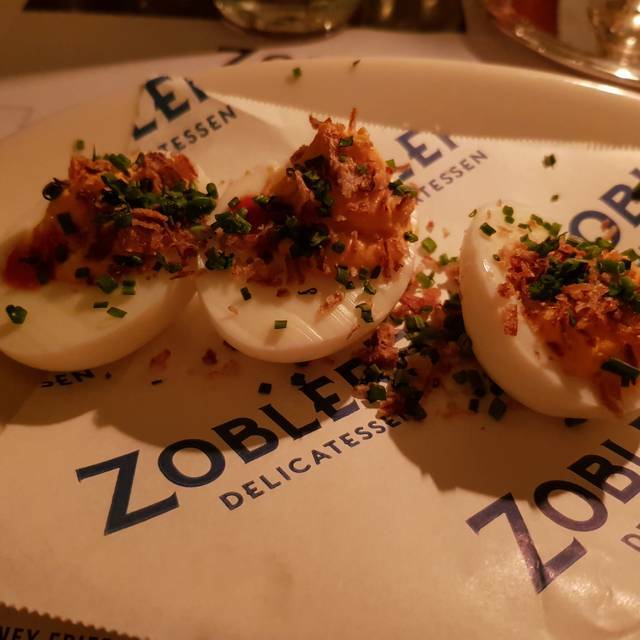 A Jewish-style, New York deli serving up a selection of favourites such as over-stuffed sandwiches, matzo ball soup, smoked fish, salads, bagels and cheesecake – all available to eat in or take away. Authentic NYC food, friendly relaxed service, no issues whatsoever! As an ex pat, I have to say thanks. 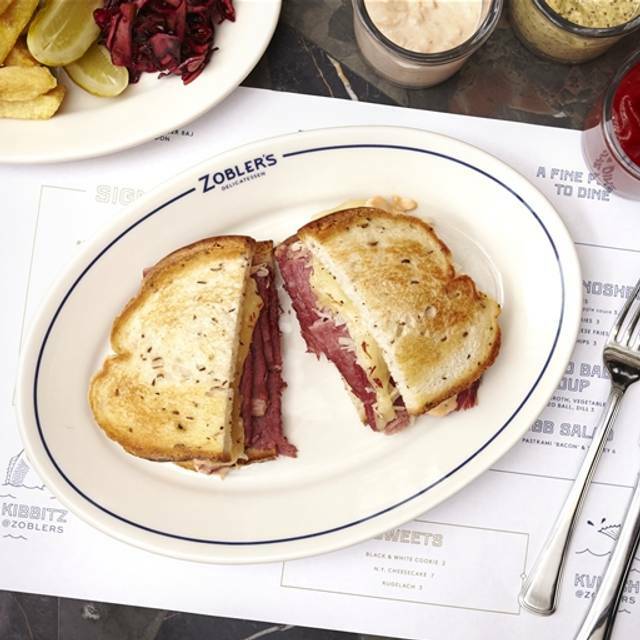 You make a perfect Reuben. 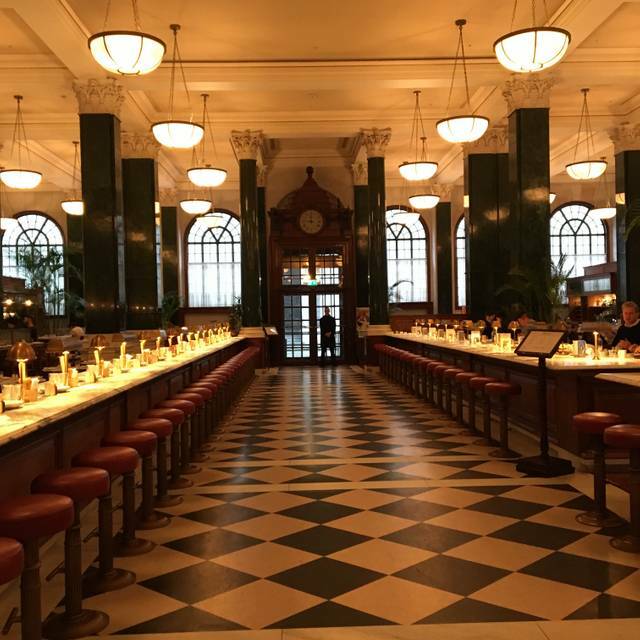 I hadn't been before and thoroughly enjoyed my meal and the lovely surroundings. I shall definitely be going again and taking other people. Would highly recommend for a pleasant lunch with a friend. Excellent food, service and ambiance. Food was great, server was lovely. The Ned is a loud venue, but I knew if going in. 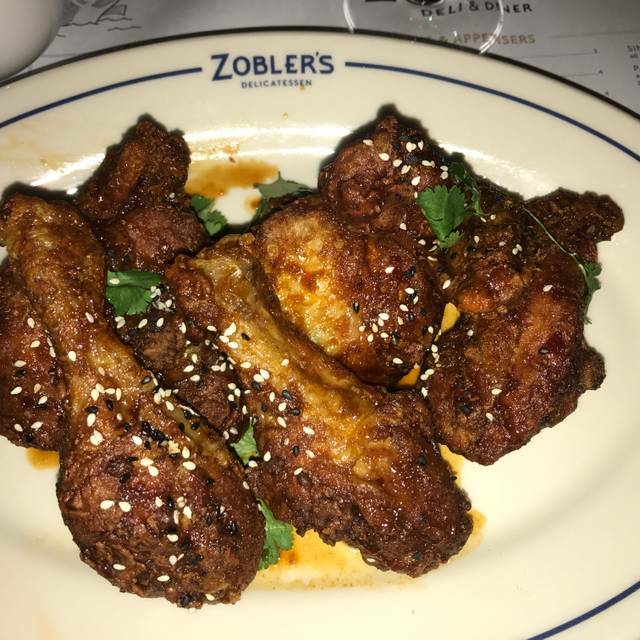 Prices have gone up at Zooblers! 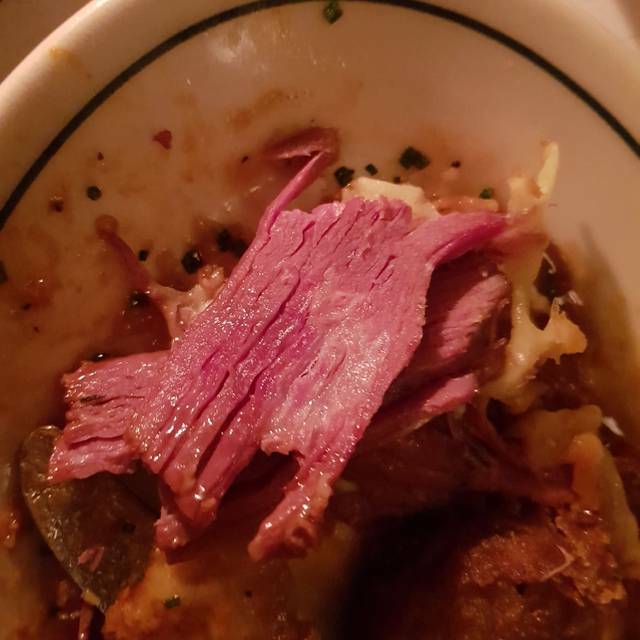 £13 for a pastrami sandwich with no sides! That's too much, even if the sandwich is delicious. Great atmospehre! So many differer places to go to in one hotel. Busy with hen parties.. over priced and very average food. Great food and service. Our waiter Yannis was very charming and helpful. We will would happily go back again! A bit too public it does feel like you’re eating in a hotel lobby (which you are of course), service is a bit random (you never really know who’s serving you) & not particularly attentive. A case of ‘it is what it is’ I’d say. Great NYC dinner atmosphere, very relaxed, amazing food! Only downside is that there are very limited vegetarian options. But the sides of mac 'n cheese and proper chips made up for that. Totally beautiful venue, fantastic food, lovely staff and surprisingly good value given the atmosphere. Good relaxed dining in the Ned, good value and easy choices for lunch or dinner . Would recommend the Mac ‘n’ Cheese side and the club sandwich which is monstrous . Excellent lunch. Busy time of day so glad I had booked although table was right next to passage where serving staff collected food from so a lot of traffic alongside us. Matzo ball soup was delicious although temperature could have been warmer. We ordered both a Reuben and Classic sandwich between us. Both delicious and very filling so took what we couldn’t eat home in a dinky Zobler’s paper bag. Great atmosphere in the restaurant. Our booking was for 6:30 for our group but unfortunately one of our party arrived early at 6:15 and got seated and offered a drink. Unbeknowns to us that started the 90min clock. The rest of the party arrived at 6:30 and come 7:35 we were being told in no uncertain terms we had to leave. When we asked why we should leave now as it was a 90min policy we were told the 90min started at 6:15 when the drinks order was taken for the first member of the party eventhough the booking was from 6:30.Anyway it was very unpleasant awkward experience having to be rushed from the table when we had only been there for 65mins. Whilst free desserts ended up being offered the draconian 90 start the clock from the moment someone anyone sits at the table earlier than the booking time is too off putting so we shan't return sadly. Guests shouldn't be seated until the booking time if the clock is going to be started. Great breakfast, different to your usual lots of choice and good value considering in the Ned. Absolutely outstanding food in a stunning hotel. The Reuben sandwich is the best I've ever had. The Latkes and The L.E.O. on challah bread, absolutely delicious as well. I plan to go and try everything on the menu. Great atmosphere for a casual lunch with friends. Food and service were good and all in all an enjoyable experience. Great place for a lovely sandwich, not enough staff for the diners though, took me about 10 minutes to attract the attention of a waiter to order a coffee after the plates were cleared and we had to ask for the bill a number of times. When we were attended to, staff were lovely though and helpful. Fantastic service and lovely food! I took my mum for lunch and she really enjoyed the ambience and food. Portion sizes were huge! Fantastic restaurant, the food and atmosphere were brilliant! The food was great, be aware the portions are generous so after having starters we struggled to finish our mains. Good place to catch up with a friend and also helps if you're hungry! It can be noisy but that is to be expected with the live music and amount of people around in a large venue. Overall had a great night there. Exceeded my expectations will definitely come back. The prosecco was also the nicest I’ve ever tasted! 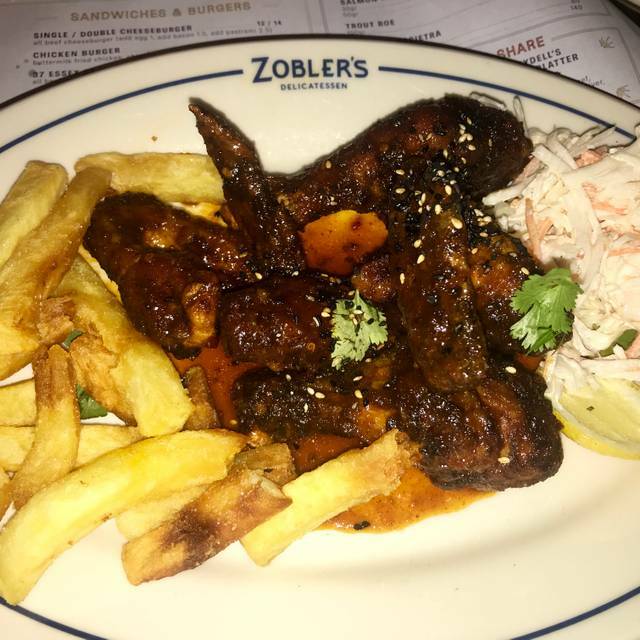 Zobler’s is great fun, it’s like being at the Carnegie Deli. Lovely surroundings, select but lovely breakfast menu. Friendly staff although hard to find them on this occasion, possibly because it was so close to the lunch crowd heading in. Defo recommend. Great breakfast and good value considering it’s in the Ned. Interesting food choices and a bit different to your standard breakfast. Beautiful building with attentive staff. We were however placed on a table on the fringes of the room, facing an empty restaurant area. This certainly dampened some of the atmosphere. 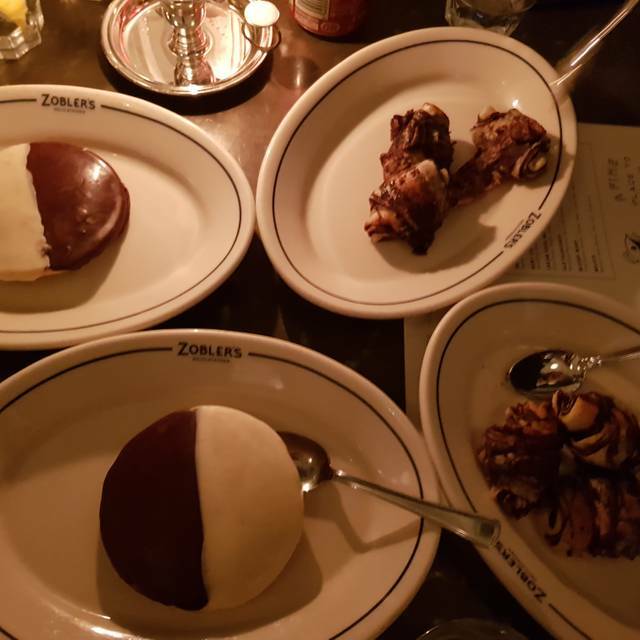 All the food was great apart from the 'black and white cookie' which had an odd texture and little taste. The foot was excellent and superb value for money. The drinks were a little pricey. The service was good, though once we were seated it took a while to take our drinks order. Once food was ordered, it arrived very quickly and to a high standard. The portions were generous and good value. 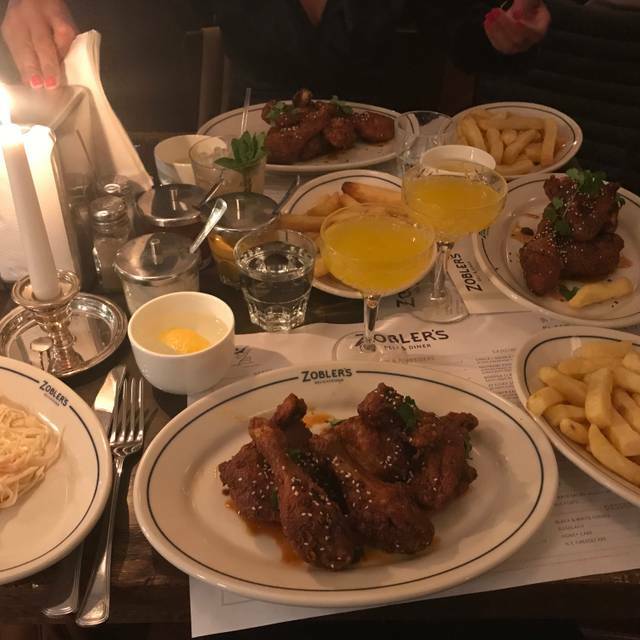 It was quite noisy in The Ned, and pretty dark, but otherwise, a great meal!